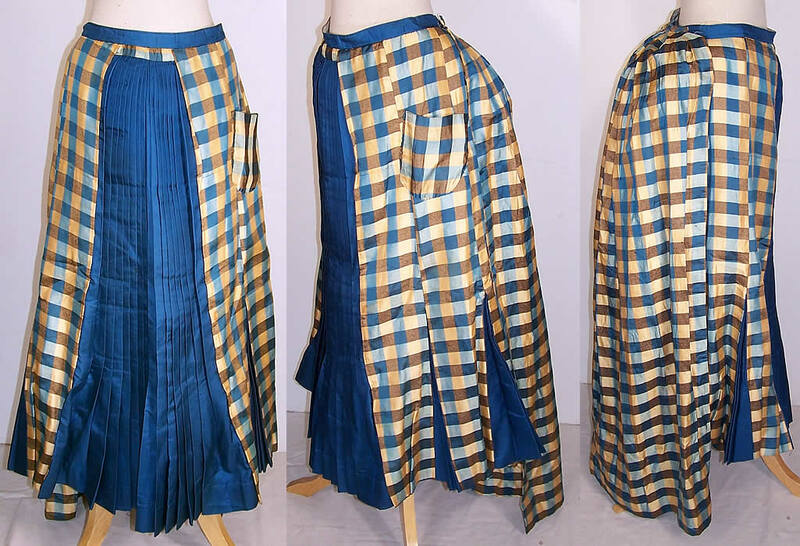 This antique Victorian era girls blue and yellow silk plaid pleated bustle skirt dates from 1880. 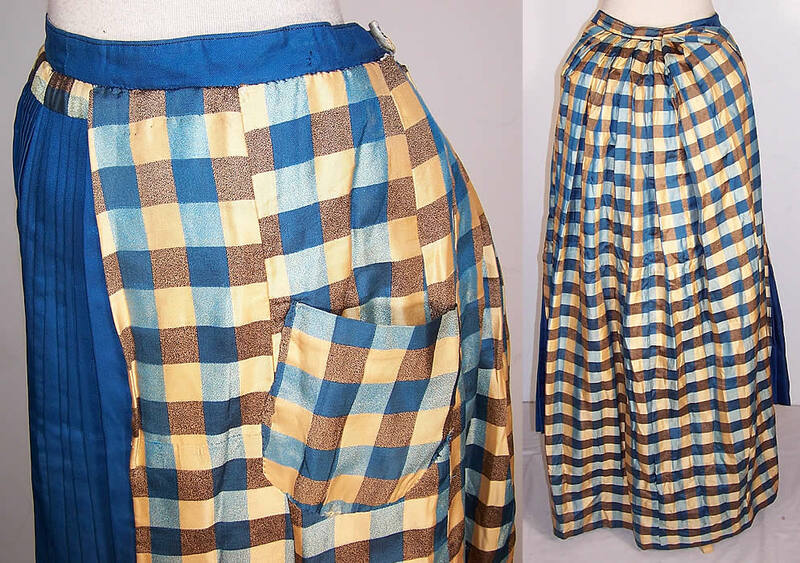 It is made of a bright royal blue color and creamy yellow silk taffeta fabric, with a graphic plaid pattern. There is a finely pleated solid blue front panel and hidden bottom side skirt pleated panels. This beautiful bustle skirt would have been worn by a young miss teenage girl. 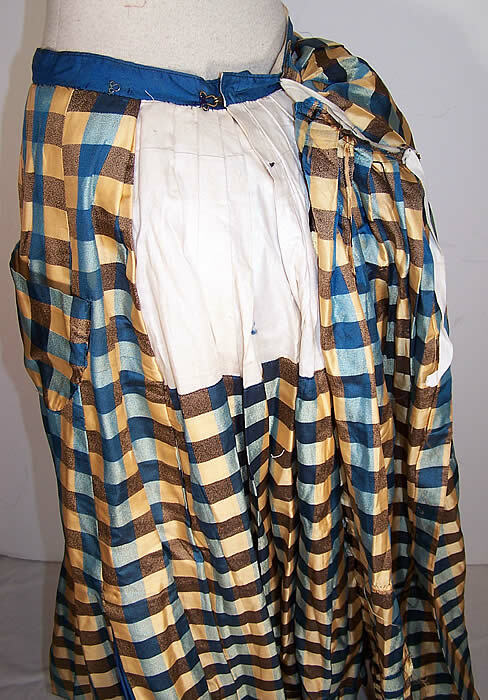 It is a mid tea length, with a bustle back, draping long train skirt panel back, plaid patch pocket accent, fully lined, with brass hook & eyes for closure. The skirt measures 33 inches long, with 40 inch hips and a 24 inch waist. It is in excellent wearable condition.